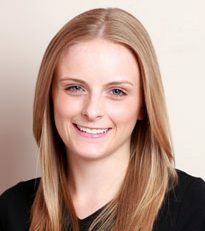 Kirsty joined the practice in 2009 as a trainee Dental Nurse and qualified in 2010 at Warwickshire college. Currently she is working towards gaining an A-Level in Human Biology. She enjoys all aspects of her role especially nursing during implant treatments and helping nervous patients conquer their fear. Outside of work Kirsty enjoys socialising with friends and family and loves a night in with a takeaway! She goes to the gym on a weekly basis, even though she doesn’t like to.